Now that fall is here, you may think about wearing more clothing. 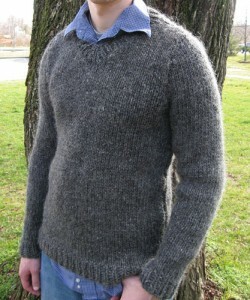 However, sweaters can show off unsighly areas, as summer clothing. There is a solution for this, and it is Scuptees. Many men are surprised when they hear the term girdle shirt for men. A girdle shirt is simply a slimming shirt that will give you a flat stomach and chiseled pecks. It will help sculpt your chest, support your back, flatten your abs and smooth out love handles on the sides and in the back. These shirts are comfortable and affordable. Check them out today! If you are trying to lose weight, you know how stressful it can be. Losing weight is hard for anyone. It doesn’t matter where your starting weight is. You’ve got work or school, your family, friends and other to-dos to take care of. How can you find the time to prep healthy and low calorie meals on a daily basis? How can you find time to be working out or at the gym for at least a few hours a day? It’s a lot of stress, and it’s what causes many people seeking to lose weight to ultimately fail. They need motivation. A lot of weight loss experts on television and the internet advocate losing weight fast. They tell dieters to drop those pounds quickly, or you’ll lose your momentum. This is true to a certain extent, but let’s face it. That’s difficult to do. You need time to not only schedule eating right and exercising, but also to lose the weight in a healthy way. The truth is that professional and experienced trainers and doctors say that the only way to lose weight healthily is to lose it slowly, but it’s also true that when you lose weight slowly you might also lose your motivation and momentum. That’s where mens shapeswear in the form of slim tees and slim t shirt s come in. See our full selection of men’s slimming wear and girdle shirts at Mensworx. This entry was posted in Uncategorized on September 24, 2014 by Emoryday.